The correct line number is 12, not 10. Line 10 is the second "" line. Reproduces with (at a minimum): 1.7, 1.8, 1.9, and 1.10rc1. Thank you for reporting this bug @josharian! 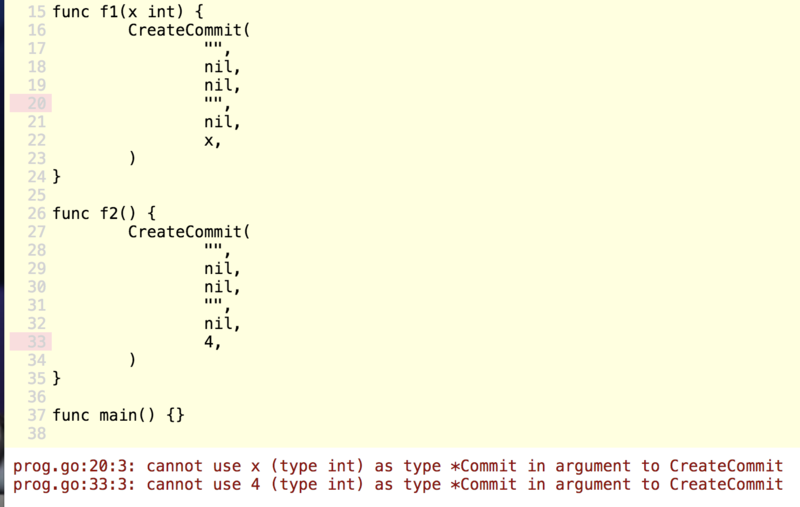 So interestingly this bug only triggers if the mismatched element is an argument. Notice that for the second function f2, the position is properly printed, while for f1 it matches your report? Hopefully this will help with an easier prognosis and bug fix.